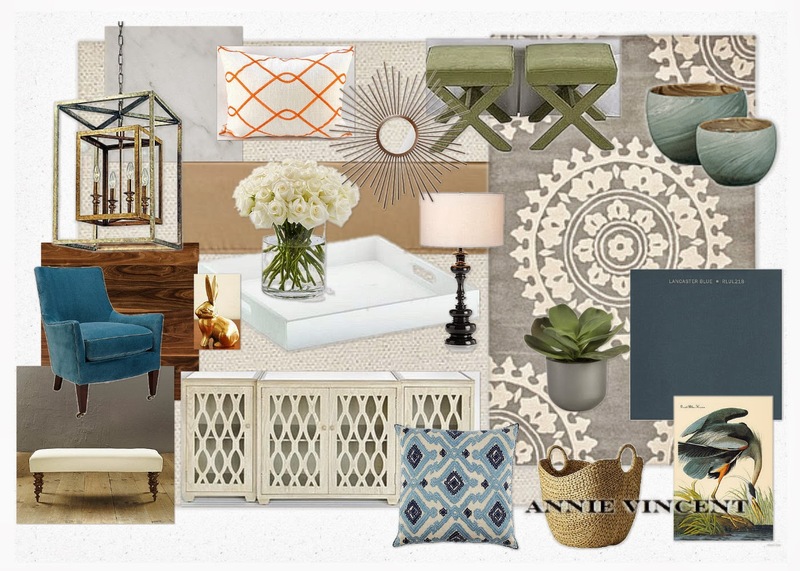 Annie Vincent Interiors: Online design board sale! Hi everyone! Did you enjoy my unplanned summer hiatus? Things were so busy around here with the kids that I decided just to take some time off from blogging to spend with them while they are little. We had a blast! Since you all are already thinking about the holidays anyway I thought I would let you know of the sale I am having! If you book any online design board between September 23rd to October 23rd 2013 I will offer you $50 off! Get your home perfectly styled for your upcoming guests! What will you get with my online designs? 1. A scaled floorplan of your space and where things will go. 2. The design board showing the items suggested for your design. I have done a lot of design boards this year and here are a couple you haven't seen yet! 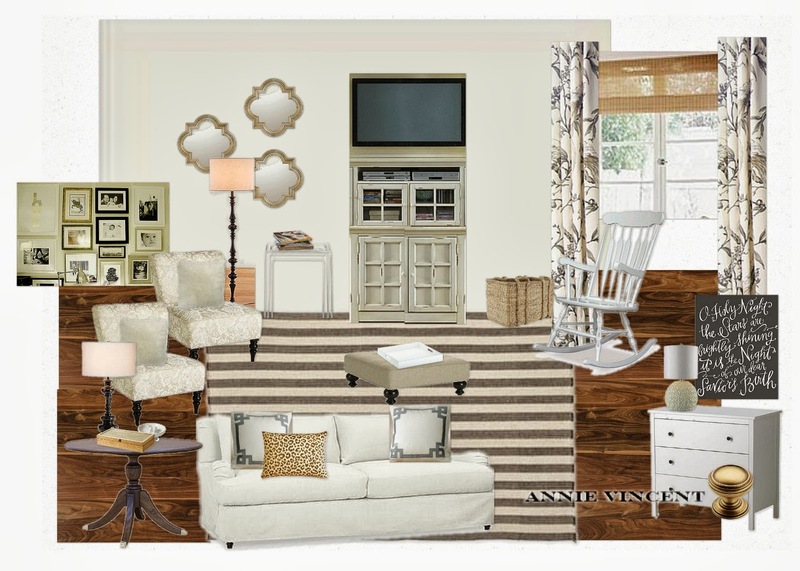 Looks amazing Annie - i LOVE your style! Thank you Jil! You are too sweet! !